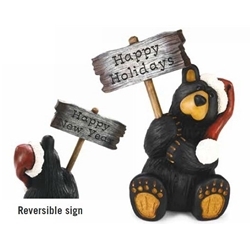 Holiday Bear with Sign made of Resin. Aproximately 16" in Height. Let this handsome guy light your way in a dim hallway or add a soft glow to any room.